Finally we’ve reached the end of series four of Downton Abbey, and let’s be honest, it’s been a bit of a slog at times. 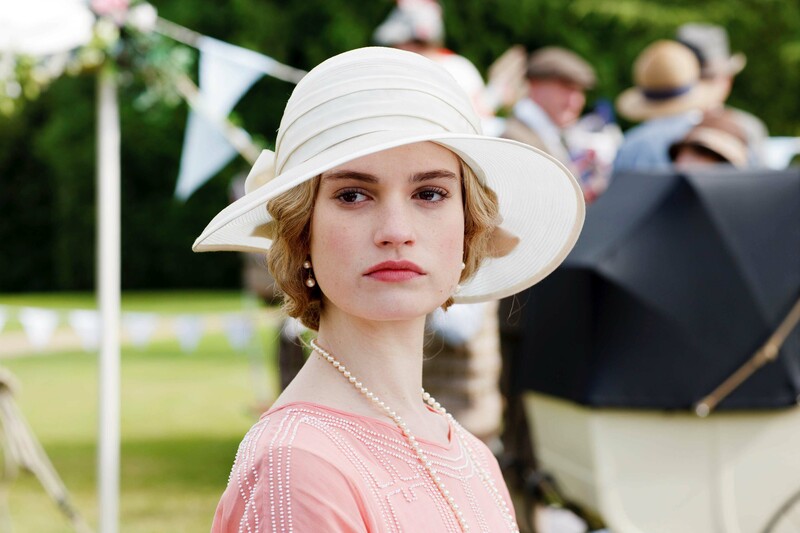 In the feature-length final episode writer/creator Julian Fellowes took the opportunity to wrap up some of this series’ major stories as well as leaving some of them hanging in the air ready for next month’s Christmas episode. 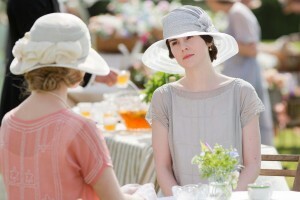 What we did learn from the final episode is that Lady Mary is now Queen of Downton. Nearly all this series’ stories have revolved around Mary in some way and that was even more apparent this week when she became Super-Mary, able to deal with anything and everyone. First of all she finally got the truth out of Anna about who her attacker really was. Lady M immediately decided to ‘have a word’ with Lord Gillingham and get him to sack the evil Mr Green. But before Lord G could give his valet the old heave-ho, someone else had. Mr Green was pushed under a lorry in Piccadilly, coincidentally on the same day that Mr Bates had hot-footed it off to York for the day… hmm, we’ve been here before, Julian. Super-Mary also waded in to the Lady Rose/Jack Ross storyline after dimwit Rose announced she was going to marry Jack in order to see her mother’s ‘face crumble’. I’m sure Mrs Patmore could have rustled-up a much nicer desert for you than that, Rose. So, off Mary trotted to London to tell Jack Ross he couldn’t possibly marry Rose, not least because her name would be Rose Ross and that would be just awful! Jack was one step ahead of Super-Mary though and admitted he won’t marry Rose because he doesn’t want to ‘spoil her life’. No, Jack, she’ll do that quite easily herself. Talking of ‘spoiling her life’, Lady Edith’s pregnancy story continued. She decided she wanted to have the child and hand it over to Farmer Drew who’s now in charge of the famous Downton Pigs. Aunt Rosamund thought that was a terrible idea and announced to everyone that she and Edith were off to Switzerland for a few months so she could learn French. Lady Violet smelled a rat (or she may just always look like that) and reminded the duo that Rosmaund had no interest in French and ‘if she wants to be understood by a foreigner, she shouts’. Whilst not attempting to sort out her knocked-up granddaughter, Violet was busy introducing a brand new character to Isobel. Lord Merton, Lady Mary’s godfather, took rather a shine to Isobel. Will we be seeing a new romance in the Christmas episode? Another possible new romance involved Cora’s new Lady’s Maid and the always-reliable Mr Molesley who appears to have befriended Baxter. He even helped her to stand up to Thomas. Lady Cora finally had something to do this week, organising the church bazaar, although most of the time she was just wandering around telling everyone it was a ‘nightmare’. We also got to see more of Daisy this week and there was a very touching scene towards the end between her and Mrs Patmore. More of this please, Julian. Finally, we were given a hint of what we can expect from the special episode at Christmas. Cora’s mother Martha and brother Harold want to travel over for Lady Rose’s big debutante ball so I expect that to be the centrepiece of the two-hour special. Will Super-Mary still have her powers? Will Edith have had Mr Gregson’s baby? Will Branson have developed his friendship with schoolteacher Sarah Bunting? And will Lord Robert finally be given something to do? We’ll find out in a month or so.